The year is still fresh and CAPCOM is already trying to make a good impression. Resident Evil 2 remake is just around the corner and now we have Onimusha: Warlords as a nice little surprise. Can’t say it’s my first encounter with it, though. Played it way back on PS2 (and the sequels that followed) so this is a good way to refresh my memory of it and see if there’s anything new in this PC release. The story steals a bit from the history of feudal Japan and adds a touch of mysticism and horror to it. During The Battle of Okehazama, feudal lord Nobunaga Oda defeats Imagawa Yoshimoto’s men but is fatally wounded and presumed dead. Then the credits roll and that’s where the story ends. No, not really. The narrative then takes us a year later, where our protagonist Samanosuke Akechi, receives a letter from his cousin Princess Yuki telling him that monsters have started attacking her servants. 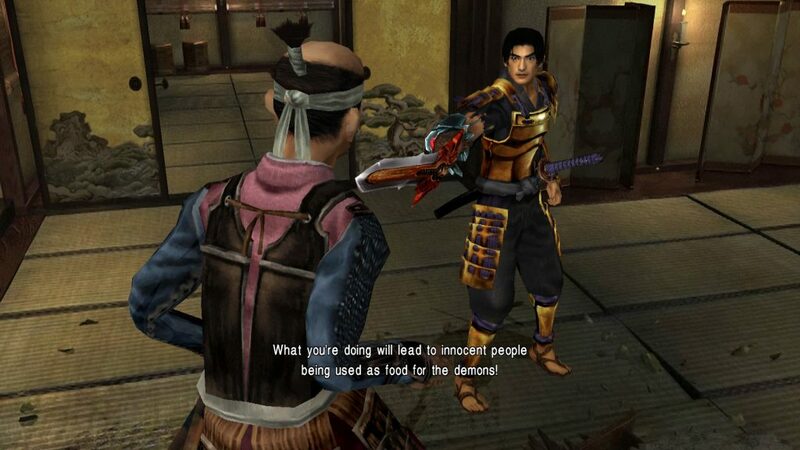 After that, things don’t go well for our Samanosuke. He is promptly cornered and defeated by sword-wielding demons and to make everything worse, soon enough we find out that “dead” Nobunaga Oda has been resurrected by a demonic scientist Guildenstern in order to serve them. But this also isn’t a place where our story ends! Samanosuke is visited by twelve oni spirits who bestow him with the power to defeat demons a bit easier, absorb their souls and (hopefully) vanquish the ancient evil for good. 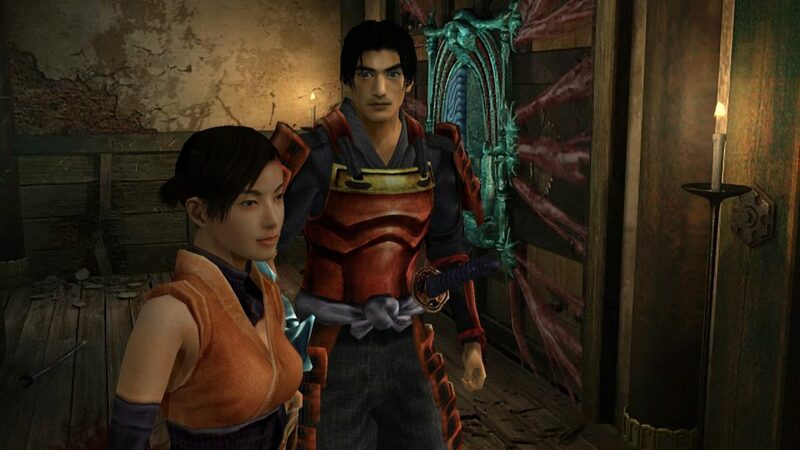 I like to describe Onimusha series like Resident Evil with a fresh coat of paint. Some of the familiar things are here as well, such as tank controls, strict inventory management and puzzle solving. 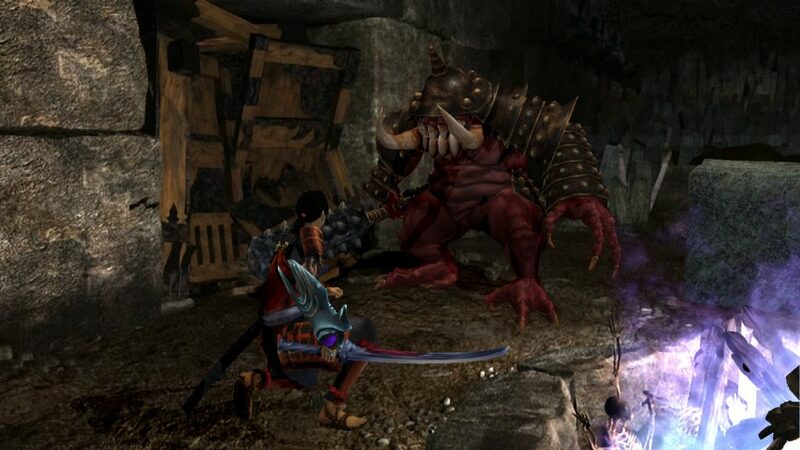 Then there is some new stuff as well, just enough for Onimusha: Warlords to builds its own identity. By defeating various demons, we get to absorb their red souls which are then used to enhance our swords. We start off with a (mostly useless) katana before we find more bladed weapons with lightning, fire and wind elemental properties. Each of these three elemental swords has magic attacks that are unblockable and can usually take down any demon in one attack, excluding bosses. Snooping around the levels is highly encouraged and rewarding since you can find hidden power and magic jewels (permanently enhancing your vitality and magic attacks), books telling you more about the lore of the game and various puzzle hints. Needless to say, while all of that is happening, demons won’t just stand around and wait for you to kill them & absorb their souls. They’re aggressive, have no issues with ganging up on you and some can even use magic attacks later on. The road to liberating feudal Japan is anything but easy. And lastly, there is also a neat mechanic called Issen that can be performed with ap roper timing just as the enemy is about to hit you. Issen then results in a one hit kill and will reward you with extra souls. As much as I’m happy to finally get to play Onimusha: Warlords on PC, I’m also disappointed at the minimum effort that was put into this release. Not many graphical options to tinker with. The game supports 16:9 widescreen but it is nothing but a zoomed in the picture so to see everything properly you kinda have to play the game in 4:3 screen. Good one, CAPCOM. Other than that blatant lie, you do get support for higher resolution and a grand choice between windowed, borderless full screen and fullscreen setting. That’s pretty much it. Not many advancements on visuals so the game does look like a PS2 game for proper retro immersion. Nah, just kidding, it’s obvious laziness. Nothing in the audio department was improved but at least it wasn’t made worse. That’s a good thing, r-right? I’m just grasping at straws here. In all seriousness, audio is on point. The background music is memorable just like noises that various demons make. Pretty soon you will remember which ungodly roar or hiss belongs to who. That way you can figure what kind of demons are in the area even if they’re off-screen. 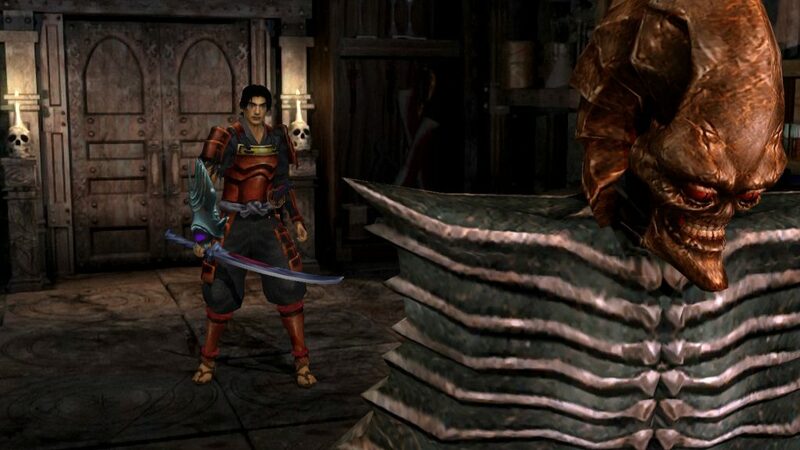 The good news is that Onimusha: Warlords still holds the test of time. It is as engaging and fun to play as it was 18 years ago. We now have improved joypad controls (replacing the old school tank movements) but this is where all the good things end. It’s hard to escape the feeling of playing an old looking PS2 game on a modern PC. At least the compelling story, engaging gameplay and friendly RPG mechanics outweigh the bad so this one gets a more than a passable grade. 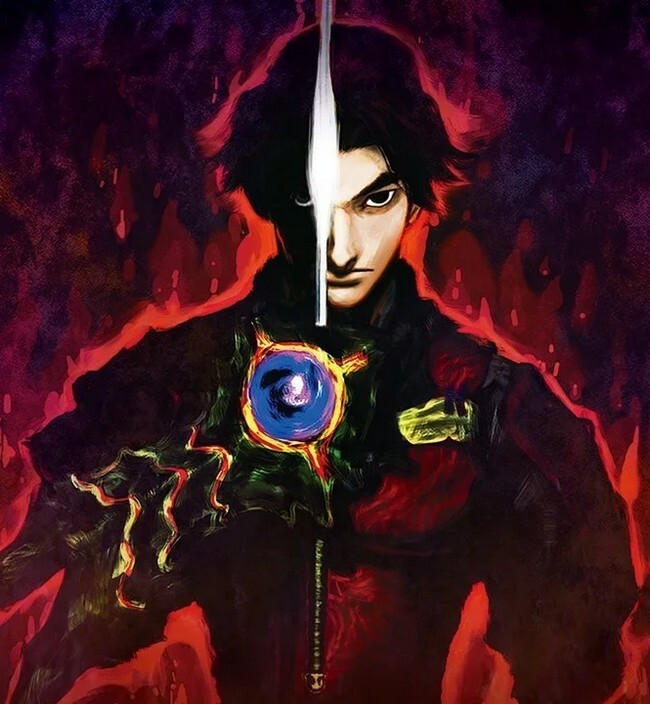 I hope it sells well so I can soon see Onimusha 2 appearing on Steam (which is one of my favorite PS2 games ever). In any case, I’m keeping a close eye on you, CAPCOM. Do better next time. I know you can. Still a great game after all these years. Featuring improved controls with almost none of the visual upgrades.